@Macswife8 wrote: A couple of photos I found and the second one cracked me up. Maybe it's just me but it hit me funny, looks like he left in a hurry. Looks like he is in his boxers! That's what it looked like to me too. So cute! They look so happy and it's wonderful to see them having such an amazing time and life. They spend so much time together, it’s a very good sign. 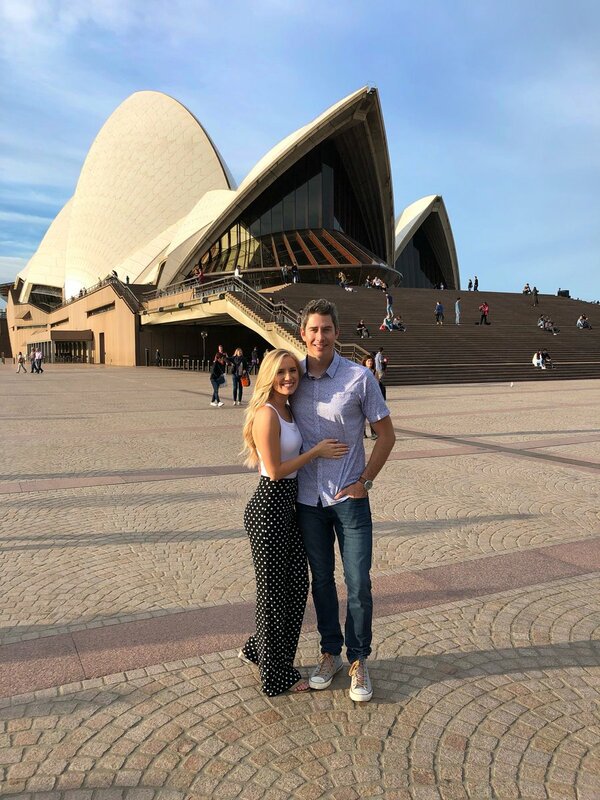 Both Lauren and Arie look happy and all this traveling makes them bond even more. I'm not quite sure what they did here, skydiving? Whatever it was though it looks like they had a blast! I meant bungee jumping but it doesn't look like that. Walking on a glass floor? Anyone have an idea? Found a couple more. These are cute too. @Macswife8 wrote: I'm not quite sure what they did here, skydiving? Whatever it was though it looks like they had a blast! Thank you. All I could read was the SKY. I'm afraid the eyes aren't what they used to be. Yes, really beautiful and what a time they've had.